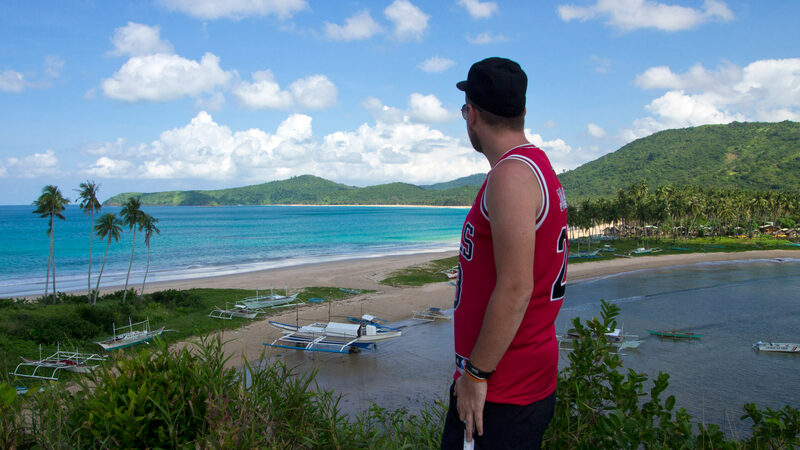 In today’s travel report from El Nido we take you to the Twin Beaches – Nacpan and Calitang Beach. After 2 days of bad weather and rain caused by the typhoon Hagupit the sun was finally shining in the morning. Time to discover the vicinity, to enjoy the sun and go for a swim! 1. 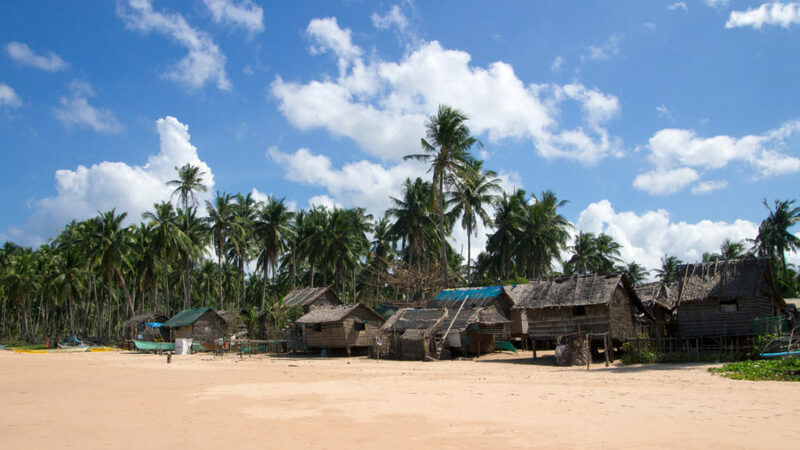 Inland tour (Tour E) – Many of the travel agencies offer the standard tours A, B, C and D. Some are offering a so-called Tour E. A tour around the inland beaches and waterfalls, where you will also visit the Twin Beaches. A tour like this will cost you around 700-800 Pesos. 2. Motorbike – There are some shops where you can rent a scooter and drive on your own to the Twin Beaches. The prices for a scooter are in comparison really high in El Nido and so you have to pay around 700 Pesos per day. 3. Tricycle – We chose the third option. You can just stop a tricycle driver along the road. Normally, they will pass by every couple minutes. Ask him for a trip to Nacpan and Calitang Beach. Most drivers are offering the tour for 1500 Pesos, but with a little bit of bargaining you can get the trip for around 1000 Pesos. For instance, if you are a group of three people, then it will only cost you around 330 Peso for each person. So I think this is the cheapest way to visit the Twin Beaches. 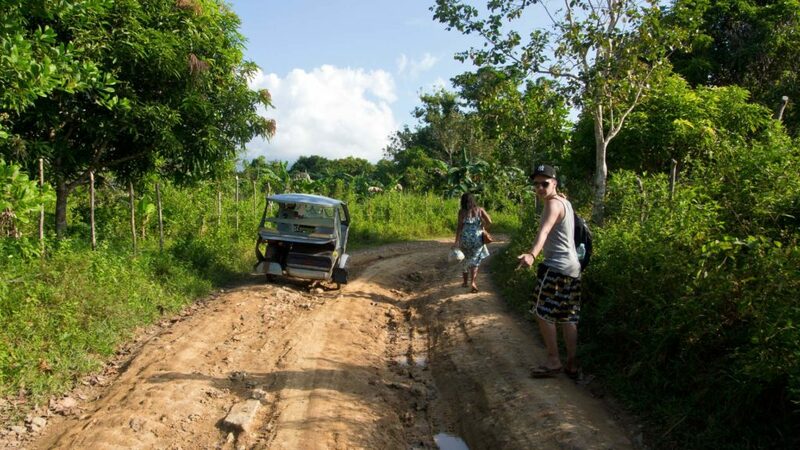 The road to the beaches isn’t fully developed yet and after a few kilometers of paved roads you will eventually continue the drive on the good old dirt road. Our really young tricycle driver who we rented in front of our hotel, had some real issues with that. Maybe he’s been driving his tricycle only a couple of months or even weeks. The closer you get to the beach, the worse the road conditions will get! In our case they were awful, but I think this was caused by the rain the days before. 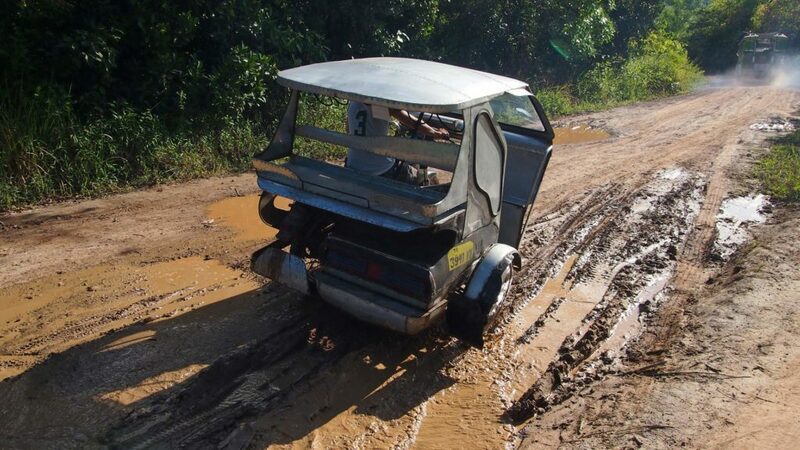 Our driver had to struggle with some big puddles and inside a curve with deep tracks it eventually happened: the tricycle tilted to the side of the sidecar. Thank God nothing bad happened! With some effort we had to climb out of the sidecar and a few Filipinos around helped us to set the tricycle upright. After almost 1 to 1 ½ hours we finally arrived. Before we could continue the last few meters to the beach, we had to register ourselves with names as visitors. You should be aware that you’re only allowed to go swimming near the volleyball court. This is caused by the currents and waves, which can be sometimes very strong. The first impression of Nacpan Beach was outstanding. Kilometers of sandy beach and a bright blue ocean. The first big points for the beach were the relatively few visitors and lots of shady spots. First we relaxed a little bit at the beach and enjoyed the atmosphere with a cold beer from one of the shops. Apple flavored San Miguel – highly recommended! 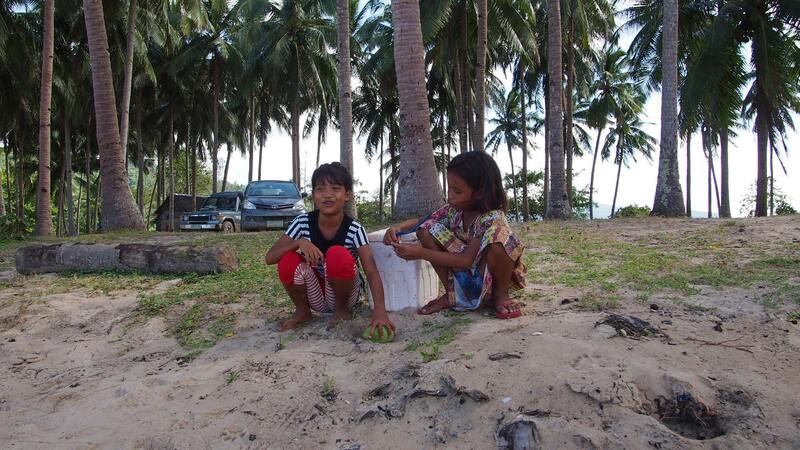 After that 2 small girls came over, who sold self made coconut ice cream at the beach. But instead of trying to sell some ice to us, they had another question for us: “Do you want to sing some Christmas songs with us?”. Those two girls were really friendly and cute. But singing Christmas songs in English, I think that’s not my strong point. After a quick swim to cool off we went to the viewpoint, where nobody from the few people at the beach was heading. Really weird. The view at the Twin Beaches was on top of my list and I wouldn’t miss that for sure! 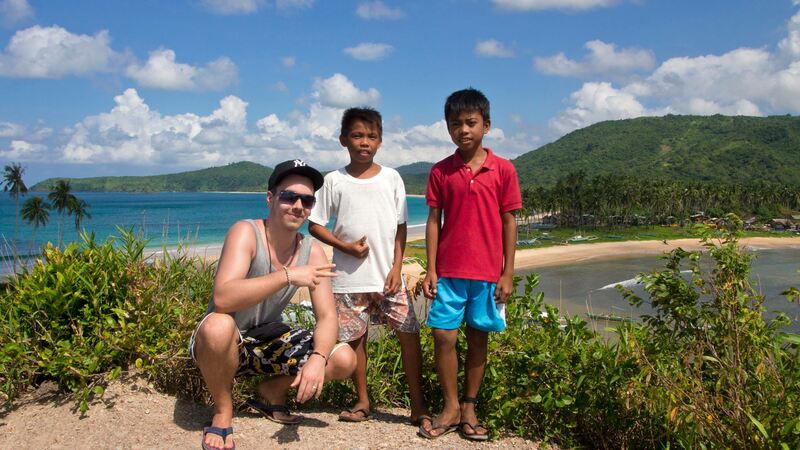 While we were walking along the beach to the viewpoint, we were accompanied by three small boys. However, they didn’t say anything but just walked with us together from Nacpan to Calitang Beach and then up to the lookout. The way up there wasn’t difficult at all and after a few meters you’re on the hill and can enjoy the stunning view at the Twin Beaches. I would almost say it looked like paradise from up there. After the way up, you can even go on a few more meters, but the view doesn’t change at all. It’s not worth it, because the pictures do look quite amazing from here, too. I can’t explain to myself why nobody of the visitors at the beach is going to the viewpoint, but you shouldn’t miss this one! After a couple of more pictures, another swim and relaxing at the beach, we went back to El Nido. The whole day was dry, but this didn’t help the road either and so we had another adventurous way back with the tricycle and our young driver. This time we hopped off a couple of times more and walked a bit, hence our driver didn’t have to struggle so much. I can only recommend to make a tour to the Twin Beaches. It’s really beautiful and most of all, really quiet there! Have you ever been to the Twin Beaches? Did you like it? Leave us a comment right now! 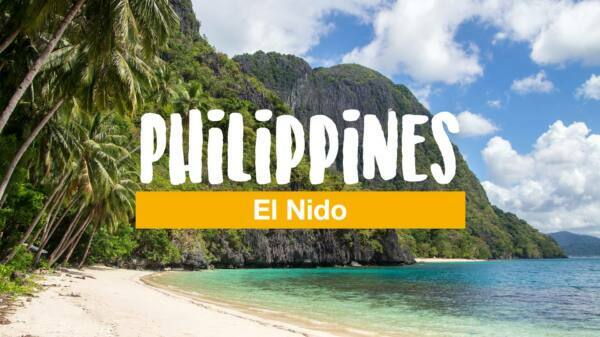 I’ve been to El Nido last February and I’m coming back this August after my Coron trip. I will be heading to Nacpan for an overnight stay. Do you have an idea if I could get the same tricycle fare for a two-way trip (same day) and a two-way trip but return trip will be on the morning of the following day? we just went there for a day trip with a tricycle, I guess it depends on our bargaining skills. 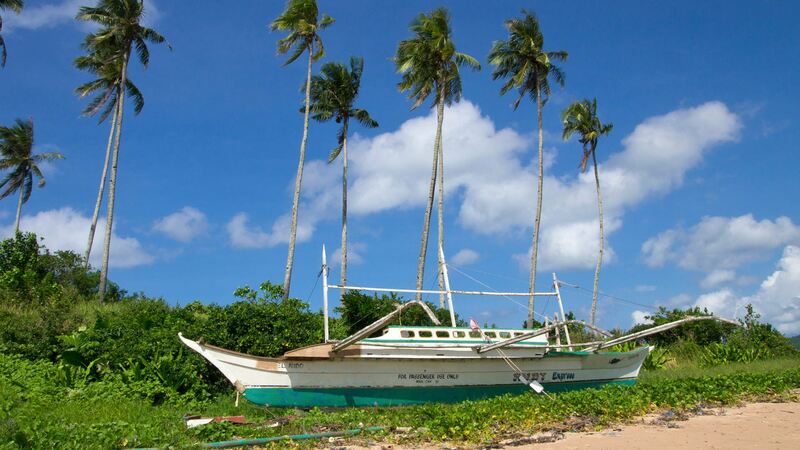 But I think it will be a little bit more expensive, because the tricycle drivers probably won’t be staying for the night at Nacpan and therefore have to come back from El Nido to pick you up. Maybe your accommodation at Nacpan can help you out with organizing that. I doubt that 5 people can fit in one trycycle, there is barely enough space for 3 people. 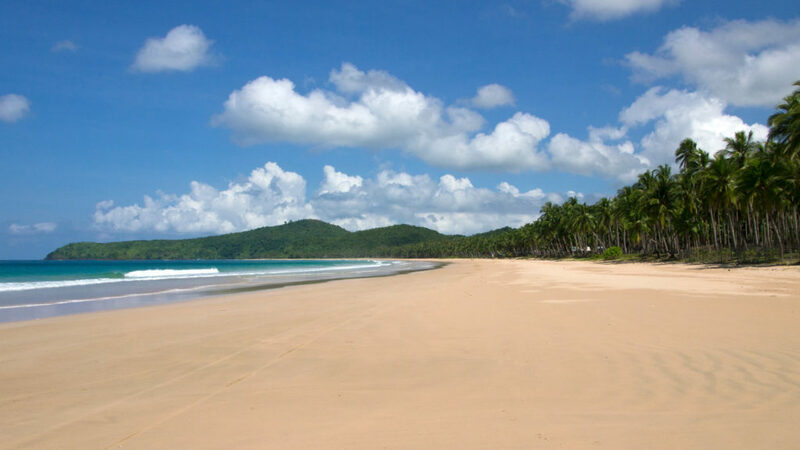 It is definitely possible to visit Nacpan Beach for a half day. what activity we can do if we visit Nacpan and I spend 3 days? I was here last April and it is the best beach i have ever been to and I cannot wait to go back in October. I will certainly stay for a night to have a quite and peaceful night on a beach. Lovely indeed. Great post! How much did you pay to rent a tricycle and how did you do it? 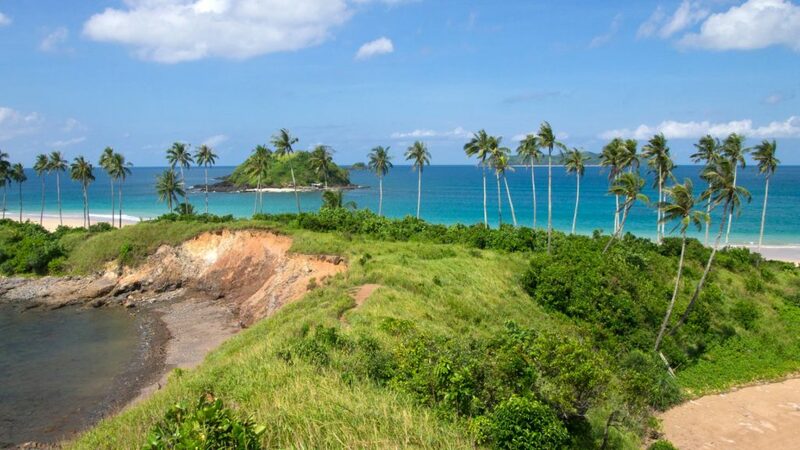 🙂 I want to visit Nacpan twin beaches soon! 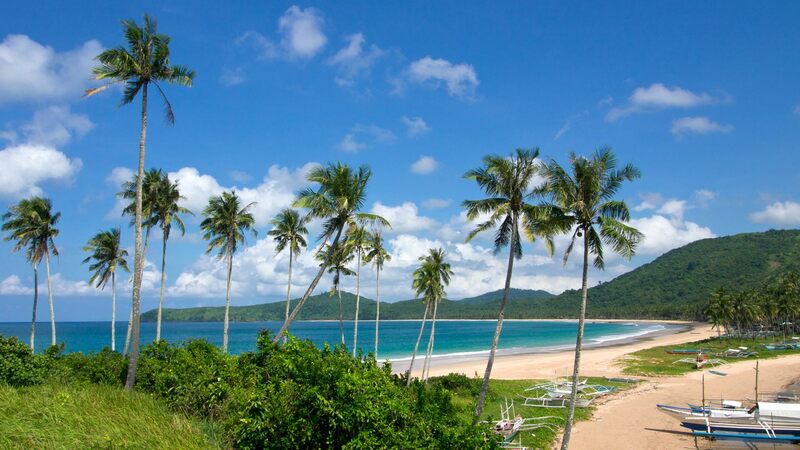 How long do you recommend I should stay in Nacpan beach? We just stopped a tricycle on a street in El Nido and bargained with the driver about the price. We paid about 1000 pesos for the day and spend about 3 hours or something like that at the Nacpan Beach. 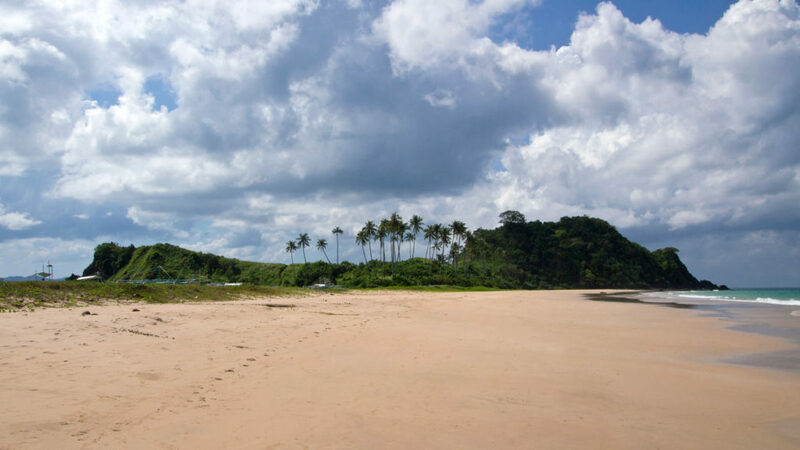 Nacpan beach was ranked as 10th among the 25 Best Beaches in the world! OMG how did I miss this beach?!?! Let come the beach by motorcycle, I really enjoy the journey coming there. The scene is nice and natural. The road is really better now. I’ve just been there 2 days ago. Already home, but miss there so much. Have a amazing trip!